Pine nuts are seeds of pine that can be eaten. Adding honey makes it sweetened and more palatable to the taste buds. 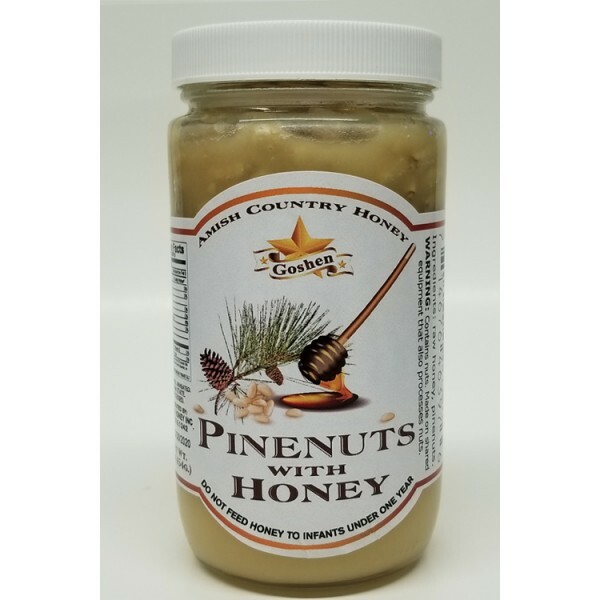 If you intend to lose weight taking honey coated pine nuts helps to suppress your appetite while giving you a sweet sensation of honey on your taste buds. The nuts also contain magnesium whose low level may lead to fatigue. Pine nuts are known to provide a synergistic blend of compounds which support heart health. This component includes magnesium, vitamin E, vitamin K, monounsaturated fat, and manganese. Pine nuts also contain a rich deposit of antioxidants, including vitamins A, B, C, D, and E, and lutein. These Antioxidants are crucial to health as they can regulate how fast you age by destroying free radicals.